Hello everybody. I’m your host. I’m Caryn Hartglass and we are about to start It’s All About Food. How are you today? Can we talk about food? You know I love talking about food. And before we get started with the main focus of the show today, I wanted to really just talk about my lunch today. It was such a dream phenomenal experience that I really need to savor it a little bit longer so I hope you don’t mind if I share it with you because it was so spectacular. And there are few things in the world that are so, from my point of view, so important and spectacular as when people serve you food, and food that nourishes you, food that is going to energize you and get you through the day and make you creative and feel good but food that’s also fresh, that’s gentle on the planet, and prepared with so much creativity. Now, normally, in order to get lovely vegan food if I don’t make it at home, because I normally make it at home—I’m fortunate to live in New York City, the greatest city in the world where we have access to so many wonderful restaurants and so many wonderful vegan restaurants and I did not go to a vegan restaurant. Today I was invited to a restaurant called Rouge Tomate, and they focus on organic, sustainable foods, and they made a spectacular vegan presentation for us: four courses of incredible, beautiful, colorful, creative foods that were paired with biodynamic wines. Every bite I kept thinking, I wish this for the world. Of course I would love to see hunger removed from the planet. No one should go to bed hungry. Everyone should have enough food to eat, but I don’t believe that it is difficult to prepare food that is such a beautiful event, so memorable. Why can’t we experience that every day? Every bite should be just, “Wow.” That’s what life is about: simple, fresh, lovely pleasures that end up giving us things that will make us better. Alright. That was my moment of savoring my lunch. Thank you for joining me with that. Now I want to move on to my first guest. But before I do, I wanted to mention that food, which is what I talk about, nourishes our bodies. But sometimes our mind is so powerful that with certain behaviors we may grow up with, certain cultures we may grow up with, it limits us to what we’re able to do. It might limit the choices that are best for us. It might limit or affect the foods that we choose to eat or how we take care of ourselves. And the mind is pretty powerful. So what we’re going to talk about today is how we can work with our own minds to make the choices that we want to make, things that are good for us. And I don’t think it’s that difficult. Not after reading the book that I just read. And we’re going to be talking about that today. I’m going to introduce my guest. Tom Dotz founded the NLP Neurolinguistic Programming Institute of California in 1990, growing it in four years to the largest organization of its kind in the United States. In 1998, he acquired NLP Comprehensive, initiating new programs to keep it at the forefront of NLP. 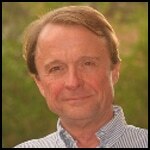 Tom has studied NLP since 1978 and is certified as an NLP master practitioner and health practitioner. He has a new book called NLP: The Essential Guide; Creating the Person You Want to Be. Welcome to It’s All About Food, Tom. Tom Dotz: Well, thank you very much, Caryn. It’s my pleasure. Caryn Hartglass: So I’ve read your book. Tom Dotz: Wow, thank you. Caryn Hartglass: I read the whole thing and the frustrating part for me was I had to read it by today and I just got it a few days ago. I now have to go back because there are so many great exercises and recommendations. This is a big workshop-in-progress thing that I imagine I can go back to many times. But I just wanted to get through the whole thing and digest it so that we could talk about it. So let’s just start. Let’s just start with neurolinguistic programming. That’s a mouthful. Tom Dotz: It is an awkward title. It’s really about figuring out what I think of as functional models for how people work. What I mean by that is simply a model or a representation of what people that are really successful at something do that makes their effort produce results that are exceptional. I can apply that to something as basic as my meditation practice. Or I can apply it to, as one of our students did, designing cockpits for fighter jets for the Air Force. Because it touches on all sorts of human behaviors. One of the most, I think, important and fundamental ways that we do go into in the book is choosing outcomes that are really the right ones for you. Because I’m sure you know there have been times that you have wanted to do something and you were completely congruent about it. And you might even have noticed to your surprise how many pathways opened up for you that you hadn’t expected. Yeah, once you’ve really chosen and you were really congruent about that—and maybe it was your course in college, maybe it was a job, maybe it was a relationship—but once you decided, once you were really congruent about that outcome, all sorts of things opened up for you: opportunities and possibilities that you wouldn’t have expected might have come your way. Caryn Hartglass: Yep. Open and receptive and everything’s flowing. Caryn Hartglass: There’s like 400 pages. Tom Dotz: Well, we kind of got carried away. Caryn Hartglass: And it’s not just in the book. There are so many links to get more and bonuses from your website. Tom Dotz: Oh yeah. I’m getting some really nice feedback on how the website turned out. People really enjoy it. I keep putting up more video examples and demonstrations and responding to what people want more of. Because we do have a tremendous amount of resources and I’m really happy to provide them to people. Caryn Hartglass: Well, what I like is…I have an engineering background and I like when things are logical and you can explain something and it makes sense and then I can apply it. And that’s what this is. Caryn Hartglass: It’s logical. It makes sense. Although I think many of us want to think that there are some things that we’re born with: our personalities, our looks. And that can either be a bonus or a benefit or a limitation. What this is telling me is that we can—like you said, like the book says: creating the person you want to be. You can be anything that you want to be and you spell out how to do it. It sounds kind of cliché. I see how it can work. Now, I haven’t had the opportunity other than one the first exercises in the book that you talked about where you suggest imaging a time in your life when you felt you had all the possibilities and you felt really good and confident and to feel that. I went through the exercise where I created that little button with my thumb and my middle finger to remember that. And that’s a simple little example that really works. Tom Dotz: Yeah, it does. Tom Dotz: It does seem that way at times. I frequently say that the tough or the challenging part about NLP is that it’s so effective that somebody that is an absolute beginner can just wow anybody else on the planet with what they can do because it is so powerful. Caryn Hartglass: Now I don’t know if this is—I hate to use this expression of “the chicken and the egg” for which came first but I just used it so I apologize to the chicken and to the egg—but I’ve heard many things, little bit of things I read in your book I’ve heard from other sources: other self-help books or other therapies. I’m not sure who tapped into who first or maybe it all started somewhere and people are building on it. But, for example, there was that documentary film that came out, The Secret, that talked about the law of attraction. A lot of it seemed very fluffy and really sensational and focusing on, “Oh, you can make all of this money if you just believe it.” But this book actually gets into the truth behind it and the work that you can do to really make some of those things happen. You can attract what you want. Tom Dotz: Right. There’s a…boy, there’s some real slippage there and I really don’t have much truck with the general run of people who are promoting magical thinking. And a lot of The Secret was just that, it was magical thinking. Well, I’m sorry, but I’d like them to show me one example of one person who just sat in their studio apartment in Manhattan, closed the door, turned off the phone, and just waited for money to show up. Caryn Hartglass: Right. You have to do the work. Tom Dotz: You’ve got to do the work. And the thing is, work is not the opposite of play. If you’re doing what you’re really congruent about…like Warren Buffet said, he never went to work a day in his life. And he’s been rather successful. Most people would go, “Yeah, that’s a pretty good degree of success.” It’s about really being…I’ll keep coming back to this because it’s a really solid theme: it’s about being congruent and knowing what you want. And if you know what you want and you’re really working towards that, it’s not so much…yeah, you’re exerting effort and in that sense it’s work because you’re making an effort. But when you were a child and you were playing hopscotch or you were playing with your friends, you were exerting a lot of effort. If you were running around the block, you were exerting effort but it wasn’t work. It was play; it was enjoyable. And when it comes to attracting success and wealth, a big part of that is being really clear about your outcome and retaining enough flexibility in the way of getting there so that you see what comes to you as opportunities even if they might not look like one at the time. I remember one startup I was involved with years ago. We were calling on financial institutions and I was one of the guys in the field and I was talking to senior vice-presidents and executive vice-presidents at banks and we were trying to convince them that the opportunity to offer insurance to their customers was a good idea. Well, we had a list of 47 different products and services that we could offer them and there was one we put on there at the last minute because it was a “may be possible.” That was the one they bit on. And we wound up building a 200-million-dollar business inside of 24 months. From zip. Because we listened and we watched and we saw what they wanted and we were flexible enough to respond to what our customers wanted. We had the outcome in mind: we wanted to build a successful, large business in the financial institutions sector. But we wound up, well, we wound up doing what’s now called subprime financing: securitizing subprime financing. Yes, I’m sorry. I was involved with that back in the ’80s. Caryn Hartglass: It seemed good at the time. Tom Dotz: It seemed like a great idea. We really felt we were giving people a second chance. Tom Dotz: And it turned out a little bit differently. But it was an example of having an outcome in mind and moving towards that while retaining enough flexibility and enough resilience to respond to the signals in your environment. Caryn Hartglass: I’m not someone that uses self-help books very often. I know some people are really into them and I’m not saying that they’re good or not good. But one of the things that normally annoys me in a book is when there’s a worksheet and things that you’re supposed to do because I think, “Oh, this is trivial. This is a waste of time.” I don’t feel that about what’s in your book. Caryn Hartglass: I mean, the first thing is: you make it sound so simple. Just know what it is you want to do. And so many people don’t know what they want to do. And so you give an exercise where you make four columns: what you want to have, what you don’t want to have, and what you have but don’t want to have,—and I’m probably not getting it exactly right but it really helps figure out what you want. Tom Dotz: Yeah. There’s a system and there’s a process for sorting through that. And we included it in the simplest and clearest way that we can. And I hope it works for people because it’s really effective. And you’re right. There are a whole lot of people who say, “Well, gee, I just wish I knew what I wanted. If I really knew what I wanted and if I really knew it was worth having, well, I’d really go for it.” Well, that’s part of the reason why we wrote this book because there are processes that help you sort that out and determine it and know with complete confidence that this really is appropriate for you and it is going to be good for you and the rest of the people in your life too. And one of the things that you probably noticed in there and it may be something that you come back and revisit is that we also consider when you’re thinking about your outcomes what we call your environment. And by that we don’t mean just the planet, although that’s certainly a part of it. We mean your human environment: your relationships, your family. How’s it going to impact them? Because one of the things you’ll notice as you start really changing and moving more into becoming the person you really want to be is that people around you are changing too. Caryn Hartglass: And that could be good or that could be not so good. Tom Dotz: Some people may find it real challenging. If you’re someone who’s always been a procrastinator and never got anything done on time and suddenly you’re completing things ahead of schedule and you’re moving right on, people around you might find that kind of disconcerting. Caryn Hartglass: People may not be ready to change because change is hard. Tom Dotz: For some people it can be threatening even. Caryn Hartglass: Threatening. Now, neurolinguistic programming—I don’t think most people have heard about it, yet it’s been around for a very long time. Why isn’t everybody talking about it? Tom Dotz: Boy, that’s a good question. Yes, it has been around since the ’70s and it was widely heralded when it first came along because it was producing some really remarkable results. And it actually is quite well known…it’s really funny. It’s another one of those cases of an expert as somebody who’s 50 miles from home with a briefcase and a prophet not getting any recognition in his own concrete. It’s much more widely known in Europe and even in Russia. And it is…and here’s the other thing. In America, where it has really transitioned into mainstream is as a component of a lot of grief therapies, training courses, self-help books. A friend of mine was reading this book called Firestarter and she said, “Oh, there’s this wonderful process in there called the Disney creativity strategy.” And I said, “Really? No kidding. Did they mention where it came from?” She said, “Uh, no. It’s just in the book.” And I said, “Yeah, created by Robert Diltz back in the ’70s.” And that’s also in our book too in chapter 8, I think, as I recall. And it’s a wonderful strategy for creativity, as well as for coming up with new possibilities and finding out how they align and really moving them into a workable plan, which is another really valuable function to have. In America, getting back to your question, NLP’s included a lot in management training classes. However, it’s rarely referred to or labeled as NLP. And part of this is because—well, just to be really frank—the people and the consultants who are marketing their services want to market their services. A good friend of mine, Frank Bork, is a psychotherapist in Corning, NY and he’s putting together a program. They’re developing a program to work with veterans on PTSD using a conventional—well, to us it’s conventional—NLP program. Caryn Hartglass: Post traumatic stress disorder. PTSD. Caryn Hartglass: You gotta make a living. Tom Dotz: You gotta make a living. Caryn Hartglass: Well, these skills can be used for an individual to work on themselves. It can be used for an individual who’s having a challenging relationship, either a romantic partner or someone in the family or someone they’re working with. I know that we can only control ourselves but sometimes it can be so challenging when you’re working with people that make things difficult. And to some extent you can use these skills to make a difference. Caryn Hartglass: And the the larger scale, working in business. And there’s really great things in here. Now I want to talk about some specific cases. So this show is called It’s All About Food and I love talking about food. We’re here, it’s 2013, and obesity is soaring. People are overweight. I think the entire country has a food disorder. And it’s from our culture. We’re being marketed. We have all of these foods that are unhealthy for us. I’m imagining that for some people that are challenged with food that they could actually use some of these skills to help them get to a better diet. Tom Dotz: Oh yes. Most assuredly. And again, starting with: what do you want to accomplish? What do you want? Do you want a better diet? What does that really mean to you? This is the kind of simple exercises that we include in the book that gently guide you through what’s important about that to you. Because when you can really get in touch with your deepest motivation, then it helps you to roll forward into the new plans and the little changes you make in your daily life that add up to the differences that give you the results you really want. Caryn Hartglass: Now, I want to help the entire country. To help them change their diet. And I know that there are a lot of people that listen to this show or they hear me talking somewhere about food and they’ll ask me—and it’s great when someone’s interested and they want information that I can share with them; that’s easy. But for the people that need help and they don’t even know what it is they need, the question I have is: how can I change my presentation so that I can get it to more people and help them get to a better place with their food? That’s my challenge. Tom Dotz: Well, it’s a matter of finding what motivates them, what gets their interest, what gets their attention. So if you want to consider our society as a whole and not one that we fall into, although we certainly do, people want to be attractive. They want to be well liked. They want to be successful. So how can changing a diet to one that is more sustaining help people do that? Gosh, there are a lot of examples. In my personal diet history, I’ve been vegetarian. I’ve done vegan retreats at the (garbled) Institute and stuff like that. And one of the little things, one of the little secrets, that I’ve found out was that the raw foods diet, for instance, is one that Hollywood scarlets will frequently go on for a couple of weeks just before they go on very important auditions. Why do they do that? Because it clears their skin amazingly. It gives them a glow like they were 19 again. And it comes from the inside out, which is real different from the results they get from four hours of expert makeup. And that’s about the only other way they can do that. Yeah. So I think if you want to attract society as a whole to a change in its orientation towards diet and food then you look for what is it that’s attracting them that you would be congruent about using as a way to get attention. So that. And also you’ve got the baby boomers who are hitting that age where they’ve got some real valid concerns about their long-term health, about their mental acuity. Yeah, well you know there’s an enormous amount that diet can do to influence your long-term health, your well-being, and your mental acuity in particular. I think perhaps that’s the greatest trigger for people reaching their 60s and their 70s. It’s one thing to lose your physical abilities but I think it’s even more frightening to consider the possibility of losing one’s mental abilities. Caryn Hartglass: Absolutely. It’s amazing. I always like to say you don’t know how good you can feel. I just want everybody to be happy and not have pain and not suffer. That’s all. That’s all I want. Tom Dotz: That’s all? Let me know when you come up with a big goal. Caryn Hartglass: And then you mention that when we make changes we have to anticipate if we can how those changes are going to impact the people around us. And I know a lot of people, when they’re changing their diet in particular, have a lot of problems with their families because food is so ingrained in our culture and tradition and holidays and people get scared and threatened like you said before. Tom Dotz: Sure. Yeah, I’m part of a large family and I had those experiences at Thanksgiving dinner. My brother-in-law kind of looking down his nose at me like, “You’re not eating turkey?” “Actually, I’m not.” It’s OK with me. I don’t know why it bothers him. Caryn Hartglass: Yeah, it’s so threatening. Tom Dotz: Yeah it’s really funny. You know, I think there’s the feeling that it’s a judgment of some kind. And that could very well be the source of it. Caryn Hartglass: Well, you know, there is something to it. We may or may not be judging but the person who feels threatened feels judged because I think there’s something internally that is in conflict with what’s going on and they’re judging themselves. Tom Dotz: Could very well be the case. And my brother-in-law is one hale and hearty guy. There are a whole lot of other people who, in a similar situation, would have some pretty valid reasons for going, “Oh, god, feeling judged.” Because in their minds it’s pointing out in them where they’ve kind of been lacking in taking care of themselves. Caryn Hartglass: Is there something with NLP that we can use to make the people around us feel more comfortable with our change? Tom Dotz: Well, rapport skills, which we certainly go into in the book, can go a long ways towards making people feel more comfortable around you and feeling more comfortable around people, regardless of what you’re discussing or what the particular situation is. Caryn Hartglass: OK. I’m going to have to become a master at this. I have a question. You talk about when you’re with people we all do physical things with our bodies and when we are congruent perhaps with someone we start to mimic each other. Tom Dotz: Well, that’s…let me back up a little bit. We use congruent in a really technical sense, I guess you could say, in the book. And what’s you’re describing we call matching or mirroring. It’s a part of rapport skills. And in NLP we’ve developed some really fine-grained technologies around rapport. In the general public, rapport is generally thought of as, well, you get along well with people and that’s what’s considered rapport. I remember way back in the ancient history when I went to my first sales training class and the guy said, “Well, the first thing you’ve got to do with your prospect is get rapport.” And we all wrote down, “Get rapport.” And then he want on, “And the next thing is…” And he never went back to what rapport is, how you get it, or how you know if you have it. Caryn Hartglass: Or how to spell it. Tom Dotz: That either. So in NLP we make some really, really good distinctions about how to establish rapport, how to maintain it, and how to break it. Because you don’t always want to have rapport with everyone, like that pushy salesman who just can’t seem to get the message that you’re not interested in what he’s got to offer. It’s really handy to break rapport with a person like that. Caryn Hartglass: So my question is: when I’m with someone and I’ve noticed that we’re mimicking each other…and before I read this book I started to notice that sometimes. And so sometimes I would break it because I thought, “I don’t want them doing what I’m doing.” So what happens when you break it? What feeling does the other person get? Tom Dotz: Generally they’re not going to be aware of it consciously. It’s very rare that anyone is. And generally they’re just going to feel a little bit of a distance. In a natural interaction with someone when the interaction is drawing to a close, people will stop mirroring or matching each other as closely. It’s just a part of our disengagement process. So when you lead by starting that disengagement process, it’s just a signal to someone else like saying, “Gosh, I gotta go now.” It’s just a subtler and gentler way of doing it. Caryn Hartglass: I mean, Tom, we’re at the end. And that went fast. Tom Dotz: Boy, you planned that really well. My hat’s off to you! Caryn Hartglass: Thank you so much for joining me. I can’t wait to get to work on all of my assignments here in NLP: The Essential Guide to Neurolinguistic Programming. Thanks for joining me on It’s All About Food. Tom Dotz: It’s my pleasure indeed. Thank you very much. Caryn Hartglass: OK, thank you. I’m Caryn Hartglass. You’re listening to It’s All About Food of course and we’re going to take a break and then come back and talk with Dr. Bob Arnot and the Aztec diet. We’ll be right back.